Just wanted to let you know that I'll be taking a blogging break this week. There's just so much going on...too much actually. and on top of all that, a trip to NYC! All within the next 7 days. without a little something to look at? Have fun Gina. New York city is on my gotta get there list. Cute vignettes! Enjoy your time with the kiddies!! Happy Easter! Beautiful vignettes! Have a Happy Easter! 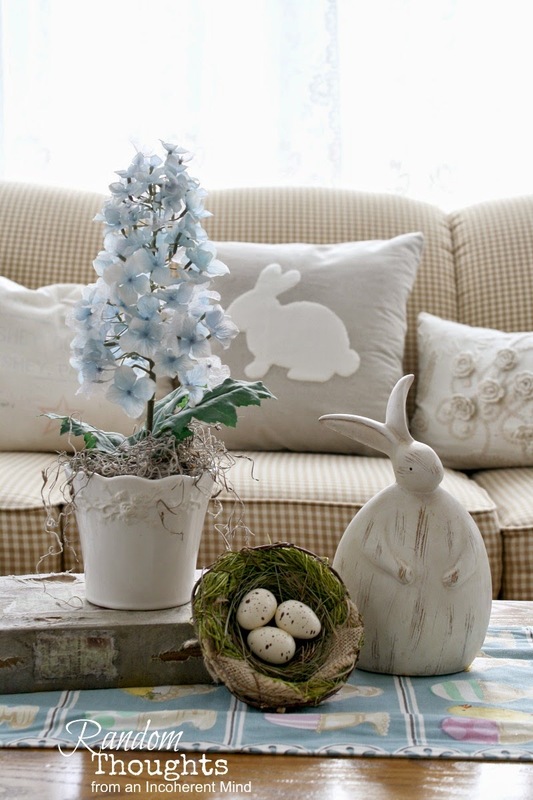 I haven't even shared my Easter home decor yet - had blogging and domain issues all last week - ugh - I hate that! Anyway, enjoy your break. Have a blessed and special Holy Week. Happy spring break Gina. We all need a little time away. Your Vignette is just as cute as can be. Love the bunny. Oh I love it all, your vignettes are so pretty, that bunny pillow is fun too. Enjoy your Spring break. I would love for you to link up to my Inspire Me party that will go live this afternoon at 3 PM. www.astrollthrulife.net. Hope to see you there. Everything looks so pretty, Gina. Enjoy your Spring break! Have fun in NYC, I'll be going there in June for the 4th time, I never tire of it! Everthing looks beautiful Ms. Gina. Have a good break and a very blessed Easter. Cute vignettes! I hope you have lots of fun in New York! I've never been there but hope to one day!! Have a Happy Easter! Have a wonderful break!! Love the photos, especially the one with the fat little bunny. Kind of reminds me of me - hahaha!! Happy Easter and enjoy your break! I am so late! But it's clear all good things happen to those who wait! 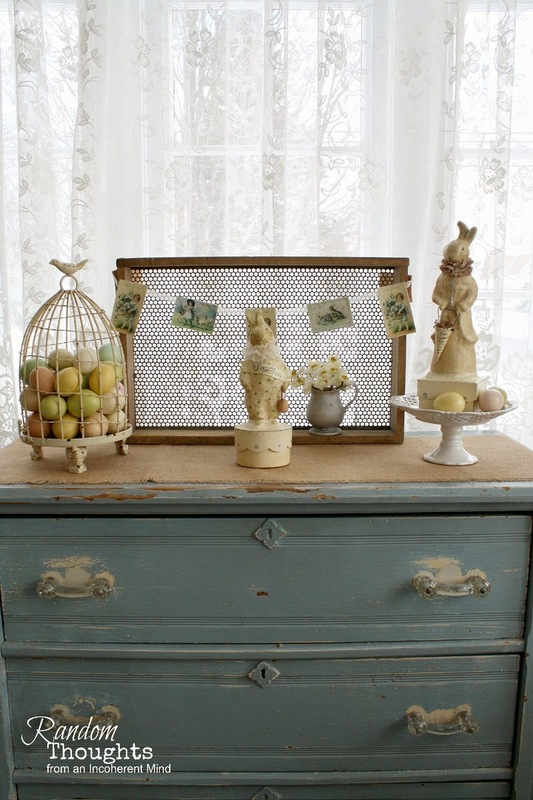 Your Easter vignettes are as lovely as they can be! "HI" energy for the week ahead! The best of Easter's blessings to you and your family! So cute Gina! I love the fat rabbit. Enjoy your break and Happy Easter! Thanks for sharing your vignettes. I will be trying to do a little decorating tomorrow as I am hosing the family Easter celebration. I hoped you enjoyed your busy week. This is too cute! I really like your blog and I've nominated you for a Liebster Award. See my blog post about the nomination here... http://theposhpulp.com/liebster-award-nomination/.